One of the biggest challenges most dealers face is getting website visitors into their showrooms. Online shoppers may browse through inventory or examine specials without setting an appointment for a test drive. Convert these website visitors into showroom visits by leveraging the power of targeted, time-sensitive incentives with proactive chat invitations. ActivEngage has teamed up with HookLogic to give dealers the bait they need to drive website visitors into the dealership using behavioral and geographically targeted incentives. We are proud to introduce ActivShow - an integrated chat solution specially designed to generate more walk-in traffic from your most qualified prospects. The best part is, since you are already a HookLogic customer, implementing ActivShow has no additional cost for you! All you need to do is add ActivEngage chat to your website and we will do the rest. Click here and fill out the request form at the bottom of this page to get started! If you are an ActivEngage customer already, call your ActivEngage Customer Success Manager at (800) 441-7779 option 1, and they can have ActivShow added to your site today! How Does CRM Help Sell Cars Today? How Does CRM help sell cars today? Given the fact that car dealers rely heavily on Internet leads from multiple sources including their own dealership websites, it is imperative for dealers to have a way of prioritizing, handling, following up, and filtering through hundreds if not thousands of opportunities each and every month. This is why Customer Relationship Management (CRM) plays such an essential role in selling cars in today’s market. Ten years ago approximately 20% of dealers had an automated CRM system. Today this is so mainstream that it is pushing CRM providers to offer more features and solutions that better fit the dealerships’ needs. As an example, it is only a matter of time before we see more mobile functionality within CRM systems incorporating apps with smartphones and tablets. These mobile functions will be tightly woven into a social play, including video and check-in features. That being said, CRM providers will want to think differently from how they have in the past. These companies can't be the best at everything so they will need to start allowing niche companies to “bolt on” their specialty products to enhance the dealer’s experience. For instance Salesforce.com, arguably the world’s largest CRM company used in many industries, has an API that allows more specialized companies to offer Salesforce users more and better capabilities such as enhanced reporting, mobile functionality, and other capabilities to their users. Within the auto industry this doesn't happen but if you look at the website space, companies like PureCars, UnityWorks, and ActivEngage are “bolting on” to dealership websites to enhance conversion and the customer experience. 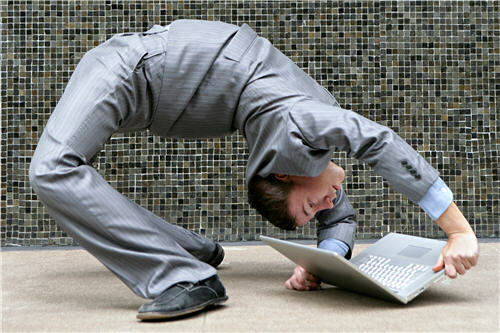 Auto dealers should expect the same flexibility with their CRM providers. Most dealers don't take advantage of their sold customer data for remarketing purposes, especially around their service departments. I am not talking about the set-it-and-forget-it automated birthday, anniversary, service reminder emails and postcards. I am talking about the polling of customer data for highly targeted campaigns. A CRM should be used in a holistic endless manner throughout the customer life cycle to send highly targeted messages of all kinds to customers of all types. To help differentiate your dealership, avoid using the default letters and email response templates that come with your CRM. Odds are the dealership down the street has the same one going out. Be different and make your own. In my career I didn’t care if my competition knew what tools I used at my dealership because I knew we would use them more effectively. When you are considering a CRM solution, take your time to figure out your major and minor pain points that you and your sales staff have, document them, and then schedule a meeting to discuss these issues. Let the CRM provider think about these issues for several days before you have a presentation of their solution. If they follow your lead, you will get a presentation that will fit your needs and you will have an easier time making a decision that is right for you. Don’t roll over. If you have a plan, stick to it. If you picked the right CRM provider, they will be your partner and help you execute on your plan. Remember, you are the customer. Come up with a plan. Use your data to your advantage. And execute well. If you do this, your CRM tool will help you build a profitable dealership that will give you an incredible ROI. Chat is proving to be one of the more effective ways to convert website visitors into qualified buying prospects. For auto dealers, automotive chat is a tool that can be leveraged internally and externally to produce a certain desired result. But what exactly is a that result? Is it to produce a lead? And what is a lead really? Is it a person’s contact info or is it a person interested in buying a vehicle soon that has agreed to communicate with you in some form or fashion? How to define a lead is tricky, but having a qualified buyer appear in your showroom is not. With ActivEngage’s new partnership with HookLogic, auto dealers will very soon have a tool for incenting qualified car buyers in online chat conversations on a dealer’s website to come in for a test drive and meet with one of your sales associates. This is just one of several ways that ActivEngage will be able to utilize HookLogic’s innovative reward incentive programs in their managed chat conversations for auto dealers. And later this week on Friday May 18, ActivEngage, National Sales Director Ralph Eberson will be on stage with HookLogic as part of our AutoHook Advanced User Webinar series. In this live event, Ralph will discuss the benefits of managed chat for auto dealers and how integrating with HookLogic enables ActivEngage to bring yet one more cutting edge tool into the mix for its dealership community. Ralph D. Ebersole is a Regional Director of Sales for ActivEngage. A recognized Automotive Digital thought leader, he brings more than 30 years of automotive industry experience, consulting and training expertise. In markets across the country, Ebersole has also consulted in-dealership with thousands of sales representatives to optimize traffic and drive more sales. Visit Ralph on LinkedIn. Join us this Friday at 11:30 AM ETD for a live GoToMeeting Webinar event hosted by Ryan Gerardi of HookLogic with Guest Presenter Ralph Eberson from ActivEngage. There is no cost or obligation to attend this webinar. Your information will be shared with HookLogic and with ActivEngage when you register for this webinar. If you will be in town for the 12th Digital Dealer Conference and Exposition in Orlando, FL, join ActivEngage and HookLogic on Wednesday, April 4, at the Blue Martini Lounge as we co-host a blowout bash for clients, VIPs and friends. Every year during the spring Digital Dealer Conference, ActivEngage throws the best party in Orlando! Walk the redorange carpet feeling like a real movie star as you and guests enter this year’s most anticipated Digital Dealer extravaganza. From 8:30 till 11:00 PM, the celebration will feature complementary beverages and the best blend of 80’s, 90’s, and today’s top hits performed by live entertainment that will surely have you on the dance floor all night! Don’t care to dance? No worries! Bump elbows and network with industry peers as well as meet the brains and faces behind ActivEngage’s excellence. 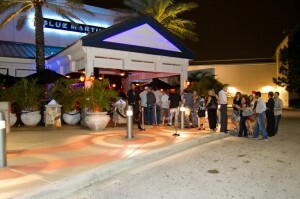 As tradition, the Customer Appreciation party will be hosted at Central Florida’s finest upscale lounge and live entertainment bar, Blue Martini. Blue Martini is undeniably the top spot for both locals and visitors from all around, delivering you an unforgettable experience. Make sure to RSVP to the event to guarantee a spot to this year most anticipated social celebration by clicking the red stamp link to your right. Good partnerships can go a long way in the auto business. They aren't always easy to establish or maintain and sometimes they come with challenges and limitations, but when you have an opportunity to do business with another company that doesn't just use your product but has the ability to take it to new heights, that is when you want to put your options on the table. 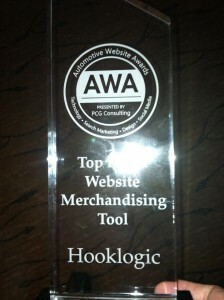 Throughout the past several months, we here at HookLogic have been busy introducing the AutoHook Web Suite to dealers and other automotive organizations throughout the automotive space and building our own presence online and throughout. We have been implementing AutoHook onto dealer websites across the country and even started experimenting with the technology in other implementations. During this time we have also been forging key strategic relationships with a small handful of players in our space, and this week as it turns out we have the fortune of announcing two of these new key partnerships just in time for this year's NADA conference in Las Vegas. The first of these is our newly formed partnership with activEngage. Based out of Orlando, FL, activEngage is the industry's leading chat provider who as made quite a splash in our space these past couple of years. The company's track record with dealers using activEngage's chat solution on their websites is second-to-none and with the inclusion of HookLogic, activEngage and its dealers will now have the ability to benefit from HookLogic's large incentive network to qualify even more customers during the chat process and bring those people into dealership showrooms. Naturally we are excited about the possibilities here and look forward to seeing how our technology and incentive marketing stand in the online chat environment. In addition there is the announcement about our partnership with Dataium. Based in Nashville, TN, Dataium is the industry's leading data utility company that provides critical business intelligence insight through the aggregation and analysis of consumer activity from across the Internet. HookLogic has partnered with Dataium to provide intelligence specific to our Lead to Show product. The partnership with Dataium puts both companies on a platform to achieve something that has been virtually unattainable until now. With Dataium, dealers using HookLogic now have the ability to reach out to potential customers with precision timing that was only dreamed of before now. As a result, dealers using HookLogic's Lead to Show 3.0 product will be able to automatically re-activate old leads based on behavioral indicators demonstrated by previously identified auto shoppers. While growth and success are important, so too is knowing how you got to where you are and who helped you get there. For HookLogic dealers, these new partnerships set the stage for even more innovation and in this case this innovation will be among some of the industry's leading players. The technology behind HookLogic has been tested and proven in numerous environments, mostly outside of automotive considering that HookLogic got its start in the travel business helping online travel booking sites such as Expedia.com better monetize its online reservation system. Our experience in e-commerce will benefit our dealers and our partners by streamlining the incentive marketing process and bringing more people into our dealership showrooms to buy new vehicles. Please follow us on Facebook to keep abreast in these and other new developments. You may also subscribe via email to our blog by entering your email address in the appropriate box on our sidebar. We are committed not only sharing and demonstrating how HookLogic is helping dealers but also how other players in this space are helping dealers improve the dealership sales process as a whole.